After being on the computer all day trying to learn a new mac software application, I did not know what to blog about. 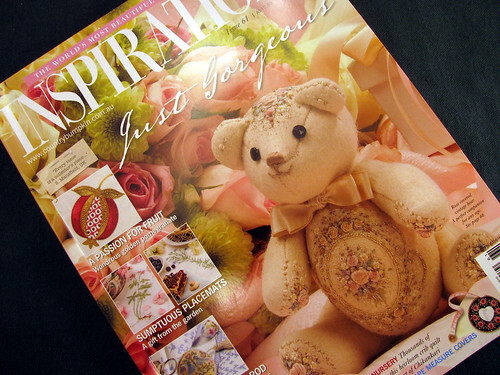 Much to my surprise the latest issue of “Inpirations” magazine was in the mailbox. It isn’t known as the ‘World’s most beautiful embroidery book’ without reason. There are at least 5 projects I would like to make. One project is the Étui. What is an étui, you may ask? It is a box that unfolds and holds sewing notions. There are straps and pockets so the contents do not rattle around inside. I think this one is so pretty. 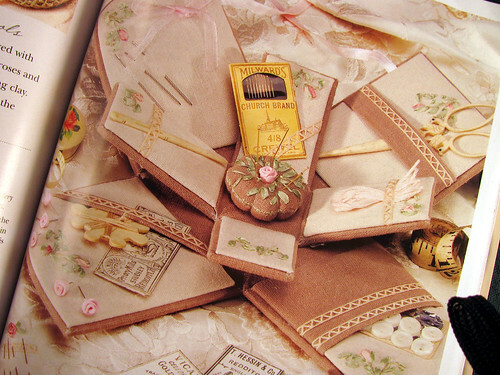 The outside is embroidered with silk ribbons, here is a photo of the inside with the cute pin cushion. 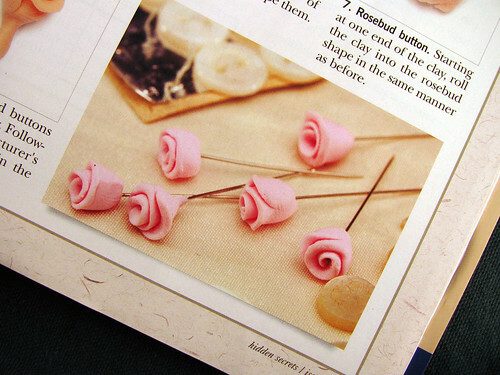 Using fimo modeling clay to make rose headed pins to match the étui is such a nice touch. Aren’t they pretty? This entry was posted on Wednesday, January 28th, 2009 at 3:00 am and is filed under Embroidery and Tools. Tagged: Embroidery, Needlework, Supplies, Thread. You can feed this entry. You can leave a response, or trackback from your own site.